An inspiring collection of stories from ordinary Americans who sought Lincoln's help during the Civil War. What was it like to meet our 16th President? Was he really as kind and honest as we perceive him to be today? This astonishing new book is an inspiring and eye-opening collection of stories, anecdotes and quotes from people who sought out Lincoln for his wisdom, help or just his irresistible wit. He offered a patient ear to almost anyone who came to see him , and his compassion and understanding bettered the lives of hundreds who crossed his threshold. 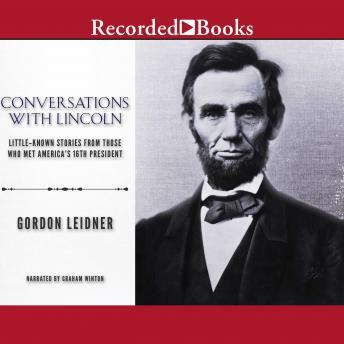 From the lips of those who knew and met him, Conversations with Lincoln offers new insight into one of the most famous men in the world, and shows not just how passionate he was about the political principles he fought for, but how generous he was for his people, as well.